Hello there! It's Throwback Thursday from Papertrey Ink and today we're revisiting the older, but well-loved Turning a New Leaf stamp set. I fell in love with it all over again using it for today's project and will be using it more and more! I used the large leafy, vine image from this set to create my background, stamping on Stamper's Select White cardstock using Bright Buttercup ink. I love the crisp, clean look. I then layered on Sheer Basics Vellum, butterflies cut using the Life is Good die collection, buttons, my sentiment from the Glorious Globes: February stamp set, and a Delicate Details doily. All of the supplies used can be found below. Morning! 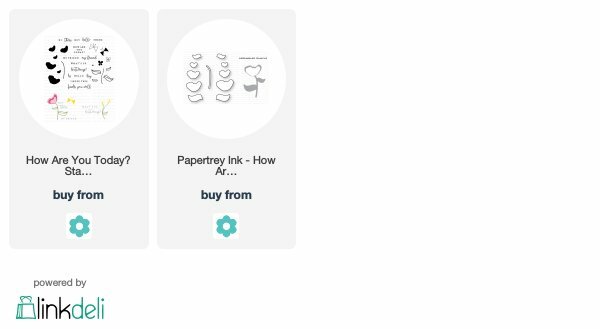 I'm back today with a Simple to Spectacular post for Papertrey Ink. This week a few of the PTI designers are creating with The Sweet Life stamp set, taking it from simple to intermediate to spectacular. I had lots of fun with this gorgeous set! My simple card uses The Sweet Life stamped directly onto a die cut using the Mix & Mat: Plaid die, cut from Kraft cardstock. I used Autumn Rose as my darkest layer, then Lovely Lady, finishing with Sweet Blush. My leaves were stamped in Simply Chartreuse as the solid leaf layer and Ripe Avocado as the detailed layer. I used a sentiment from Penned Elegance, stamping in Olive Twist, ant then used Bitty Big Olive Twist in the background. My intermediate card uses the very same elements, but I stamped and die cut my Sweet Life flowers and you'll notice that the ink changes quite a bit when stamping on white cardstock as compared to Kraft cardstock. I stamped my Mix & Mat: Plaid die with the Background Basics: Birch stamp set, using Kraft ink. And, I added a strip of Chicken Scratch Gingham paper across the center of my card, mixing plaids with polka dots :). On my spectacular card, I added embossing powder around the outer edges of the frame, heat setting it in place. I also added a few flourishes underneath the flowers using the Stitched Swirls stamp set. Such a treat to create with these lovely products. 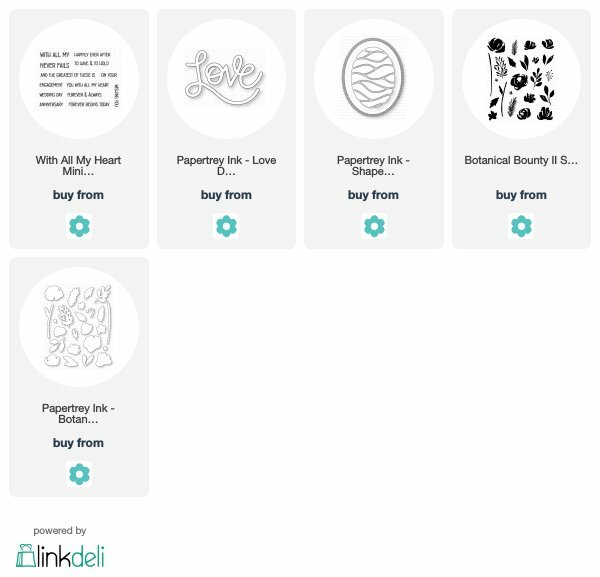 Make sure you visit the Papertrey Ink blog to see more from other designers. Thank you for visiting! Morning! I'm here with Transformation Tuesday and Papertrey Ink....such a fun concept! Today, I've taken a card that uses florals to create a wreath, and transformed that wreath using streamers, stars, confetti, scripted words, balloons, etc. I had lots of fun creating this transformed card for you and hope you'll give it a try yourself. I started with the Birthday Strings stamp set, which contains the fun, scripted, sentiments. I curved my sentiments using my MISTI stamping tool, so that I could start forming the shape of a wreath. After I had those stamped, I used streamers from the Birthday Balloons stamp set as well as confetti, and tiny stars. I love how you can build and layer using different colors of ink to create fullness and dimension. I added in some larger stars from the Stars & Stripes stamp set, stamping in a softer color, so they'd blend into the background and not cover up my sentiments. Lastly, I used the Birthday Balloons stamp set and the coordinating Birthday Balloons die to create a couple of larger elements that I could layer in order to create a bit of of height and dimension. All that was left was some Bitty Big Mint Julep paper across the bottom, seam binding, and sequins. Hello friends! I have a couple of extra projects to share with you today, using new Papertrey Ink release products. My first card uses the new Cover Up: Grid stamp set...it is so much fun! Who would have thought that a set so simple could be so playful and inspiring? I began by stamping my Cover Up: Grid on watercolor cardstock using watermark ink and then heat embossing using white embossing powder. I stamped my grid on the diagonal to add a little something different to the look of this stamp set. I then used my Noted Pinked A2 Vertical die to create my panel. Next, I sponged ink over my heat embossed grid, using a variety of soft colors like Aqua Mist, Summer Sunrise, Green Parakeet, and Hibiscus Burst. I then stamped my flowers using the new Botanical Bounty II stamp set and dies and used the new Sentiment Staples: Sending You stamp set and my Wine Bottle Tag #2 dies to form my sentiment. On my second card, I used the fun, new Glorious Globes: June stamp set and dies. This set has the sweetest little pile of stacked suitcases included in it. I used the new Shape Shifters: Oval 2 die to create my focal point, stamping with images from the Salt Air: Flora stamp set in the background. I love how they show from underneath. My sentiment comes from the new Salt Air Sentiments stamp set and is stamped on a Scalloped Tag Die. On my card base, I've used the new Text and Texture: Ocean stamp set...another amazing and inspiring set to get your creative juices flowing! More to come...thanks for your visit. All of my supplies used are linked below. Hello! 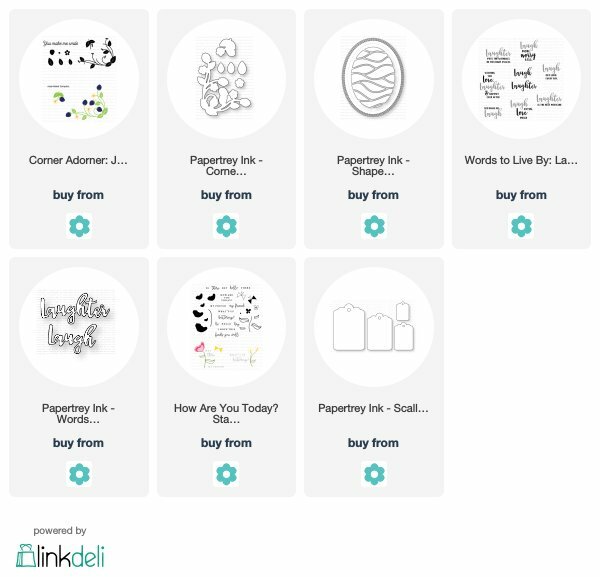 It's release time for the every-so-amazing Papertrey Ink June release! I've got another card or two to share with you in celebration of this occasion :). The darling, new Corner Adorner: June is perhaps my favorite in this series yet. The berries just make me happy! I started with a background using the new Shape Shifters: Oval 2 die, which I sponged Aqua Mist, Spring Moss, and Pale Peony over after die cutting, and then spritzed it with water to add a soft, watercolor feel to it. I then added a die cut Scalloped Tag cut from white cardstock and stamped my sentiment near the bottom using the new How Are You Today stamp set. Lastly came the sweet berries and their vines. I stamped the vines in Spring Moss and Prairie Grass with the flowers tamped in Aqua Mist and Ocean Tides. The berries were stamped in a variety of pinks including Pale Peony, Berry Sorbet, Hibiscus Burst, Autumn Rose, and a touch of Summer Sunrise. For my next card, I've combined the Corner Adorner: June stamp set and coordinating dies with the new Words to Live By: Laugh stamp set and dies. I created a frame around my sentiment using the Ivy & Bloom die and Bitty Big Simply Chartreuse paper. My berries are stamped in Pure Poppy and Americana with the flowers stamped in Bright Buttercup and Summer Sunrise. The sentiments that you can mix and match in the Words to Live By: Laugh stamp set are just the sweetest...I really enjoyed using this set. I die cut my "laugh" from Berry Sorbet cardstock and stamped the second part of my sentiment in Ocean Tides. So much to enjoy this month and more to come! Thanks for visiting! Hello and welcome to Day 4 of Papertrey Ink's June countdown. Today I get to share with you the new With All My Heart stamp set and coordinating Love die. These products are so much fun to mix and match and get creative with. On my first card, I used pink glittered cardstock and the Love die and used the With All My Heart stamp set above and below to build my sentiment. The Noted A2 Simply Stitched die was used in the background, die cutting from Rustic Cream cardstock. I then used the Shape Shifters: Oval 1 die and Kraft cardstock along with the You Have My Heart die. After die cutting my oval, I placed the heart die in the center and ran it through my die cutting machine, leaving this heart window. To finish, I embellished with beautiful stamped and die cut images using the new Botanical Bounty 2 stamp and die sets....I LOVE these beautiful florals. I stamped in Hibiscus Burst, Scarlet Jewel, Pale Peony, Spring Rain, Ocean Tides, Spring Moss, Prairie Grass, Ripe Avocado, and Olive Twist. My next card uses the very same elements...the With All My Heart stamp set, Love die, and Botanical Blooms 2 stamp set. I just mixed the colors up a bit and it changed the whole feel. I die cut my "love" from watercolor cardstock after sponging on ink in Hibiscus Burst and Summer Sunrise. I then spritzed it with water and let it puddle and pool a bit. I then adhered it to my base focal point which was cut using the Shape Shifters: Oval 2 die. I added my Botanical Blooms, stamping in Summer Sunrise, Berry Sorbet, Pale Peony, Hibiscus Burst, Prairie Grass, Hawaiian Shores, Bright Buttercup, and Green Parakeet. I brought in movement using my Fancy Flourishes stamp set in the background and added some solid stripes using paper from the Bitty Big Limeade Ice pack. Lastly, I used the new Love die and With All My Heart stamp set in more bold colors....I knew this sweet die would look stunning and sharp cut from black cardstock and love how it looks. The "L" is separate from the "ove" allowing you to mix and match your die cut word just a bit if desired. I used the new Traveler's Journal: Field Notes stamp set and dies for this card...I'm crazy about this stamp set and its wonderful, organic feel. I stamped my white card base using Fine Linen ink and images from this set and then added a strip of Bitty Big Smokey Shadow paper across the center of the card. Next I used the scalloped rectangle die from the Make it Market Kit: Shakers + Sprinkles and started building my focal point. After adhering my die cut "love", I added the second part of my sentiment and then my stamped butterflies and flowers. They were colored using my Copics. I know you'll love what the other designers have created to share with you. 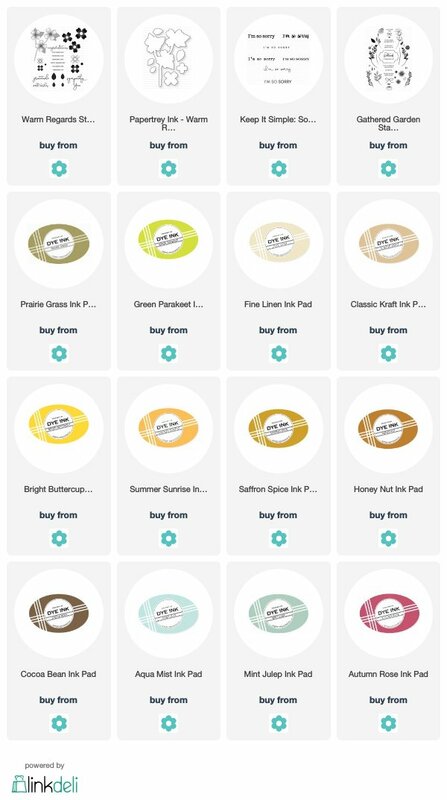 You can purchase all of these new supplies on June 15th, 10PM EST at Papertrey Ink. Another sweet, new set from Papertrey Ink is being introduced today. It's called How Are You Today and it's just so whimsical and fun! I stamped my flowers from the How Are You Today stamp set in Hibiscus Burst, Autumn Rose, Bright Buttercup, Summer Sunrise, Spring Rain, and Hawaiian Shores. The leaves Simply Chartreuse and Spring Moss, using Copics to color them. I used a different floral from the stamp set to create my background across the bottom, using the same colors as before. The Scene It: Skyscapes die was used for my sunshine, and layered over a die cut Berry Wreath Tag. This was then layered over a block of white cardstock cut using the Noted: Pinked A2 Vertical dies. I sponged Aqua Mist clouds across the top using the Clouds Stencil. They tiny butterfly is from the new stamp set as well. To finish I added some Bitty Big Harvest Gold paper and sequins. This stamp set is full of so many sweet possibilities....lots of fun to play with! All new products will be available at Papertrey Ink on June 15th, 10PM EST. 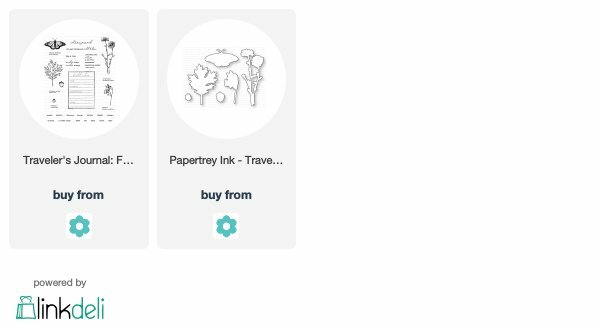 Some serious sweetness this month with Papertrey Ink! It's Day 2 of our June countdown and today we're showing off more new products! I used the new Shape Shifters: Oval 2 die collection in the background, cutting my oval from Sweet Blush ink. I then used the new Text & Texture: Ocean stamp set to create my watery scene in the background. I used Betsy's technique to create a soft , shimmery glow, using Perfect Pearls mica powder in white and gold along with my glue pad. I added melted embossing enamel to crate my tiny water bubbles and then stamped my sentiment from the Salt Air: Sentiments stamp set, stamping in Olive Twist. I built my underwater scene using the new Ocean + Reef Builder dies, using glitter cardstock, white cardstock, and corrugated cardstock to give a variety of textures to my seaweed and such. I then added images from the Salt Air: Flora and Salt Air: Fauna stamp sets to finish. Such a fun card to create! 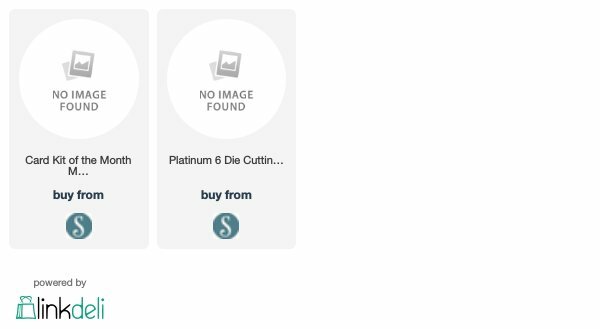 You'll just love these new products, I'm sure. All of these new items will be for sale on June 15th, 10PM EST at the Papertrey Ink store. Morning! It's Day 1 of Papertrey Ink's June Countdown and oh my....is it ever just the sweetest release ever! My card today uses the new Salt Air: Flora, Salt Are: Fauna, and Salt Air: Sentiments stamp set and coordinating dies. I've had this color combination in my head for a while now and couldn't wait to try it out on these new sets. 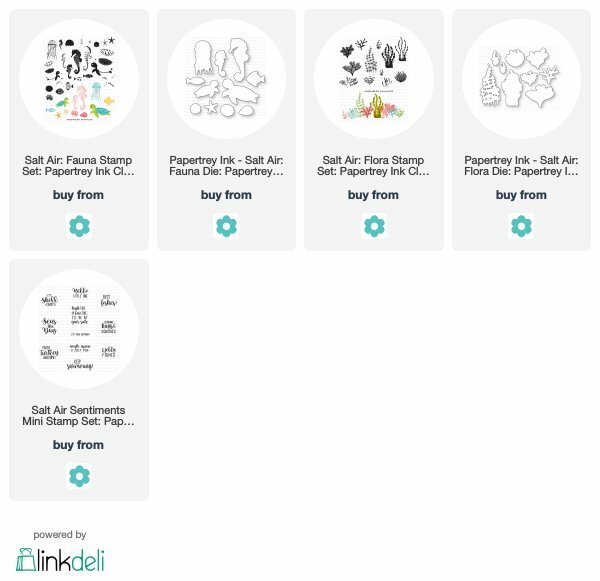 My Salt Air: Floral and Fauna images are stamped in Summer Sunrise, Bright Buttercup, Tropical Teal, Ripe Avocado, Mint Julep, Limeade Ice, Melon Berry, and Autumn Rose. I used the Mix & Mat: Pretty Brackets die in the background, die cutting it from Aqua Mist cardstock and then blending ink over the upper portion of my die cut using Hawaiian Shores and Green Parakeet. I then added embossing enamel, melted to form tiny water bubbles. Across the bottom I used Bitty Big Mint Julep paper. All of these new products will be available on June 15th, 10PM EST. Good morning! It's Fri-Yay! Today the Reverse Confetti team is having a blog hop celebrating SUMMER :). I've used the darling Hey, Sugar stamp set and coordinating Confetti Cuts to create my card. I stamped my popsicles on watercolor cardstock using watermark ink. I then heat embossed each images using white embossing powder. I then added color using my RC inks and a foam applicator, blending the colors softly. Next came a bit of water to help the colors take on that fun watercolor feel, and lastly, I added a few white platters. After I had assembled my card base, I cut tags using the Tall Tag Trio Confetti Cuts to fit across the front of my card. I added stamped images using the My Tribe and Moon Men stamp sets. My sentiment comes from the Hey, Sugar stamp set and was stamped in Coral ink. All that was left was to add my popsicles and a few tiny star sequins. Such a fun card to create, and there's so much more waiting for you on the hop, so follow along! Hello! We are thick into Summer vacation here and learning how to adjust to the new routine :). As soon as I'm adjusted, it will be time for school to start again, right? I have a few cards to share with you today. My first uses a few of my favorite Papertrey Ink stamp sets, Forget-Me-Not, A Bit More: Butterfly Blooms, Fancy Flourishes, and Penned Elegance. The Forget-Me-Not set was used on my background florals, stamping in Pale Peony, Autumn Rose, Aqua Mist, Ocean Tides, Stormy Sea, and Ripe Avocado. I used the Penned Elegance stamp set and coordinating die for my sentiment, stamping in Autumn Rose. I just love the butterfly from A Bit More: Butterfly Blooms, so I added one stamped in Spring Moss, and then finished with Fancy Flourishes stamped in Ocean Tides and some Bitty Big: Pale Peony paper. I used the sweet Baby Mine stamp set and coordinating dies on my next card....what a darling baby set this is! I used the new Cloud Stencils in the background, sponging them in Aqua Mist. My sentiment is stamped in Stormy Sea with my tiny elephant stamped with an outline of Pale Peony ink and die cut from patterned paper. I then stamped the polka dotted ear on white cardstock and cut it out so that I could create a little dimension. The elephant was layered over a scalloped circle cut using the Shape Shifters: Circle 2 die. Across the bottom of my card I added stamped flowers in coordinating colors using images from the Gathered Garden stamp set. And lastly, this card was created for Emma's Paperie and is based on a beautiful color combination you can find on the blog. I used the Miss Betty collection from Kaisercraft and LOVE it! What sweet, vintage inspired images you'll find in this collection. All of the supplies used on this card can be found HERE at Emma's Paperie. Enjoy your week and thank you for stopping! Morning! One more card created with the June 2018 Card Kit of the Month from Spellbinders. Today I'm loving the beautiful sheer accents and gold foil elements...glamorous! The kit comes with heavy, lush, gold cardstock and of course a set of sweet dies. I love using my Spellbinders dies with this cardstock...everything turns out beautifully! Shine on my friends! Happy Saturday. Link to the kit in my supply list below. Happy June! Something delightful from Spellbinders is coming your way! The June 2018 Card Kit of the Month is here and is GORGEOUS. My card was created using only contents from the kit...it comes packed with everything you need to make oodles of beautiful cards. From patterned paper and cardstock to dies and embellishments...it's so much fun! 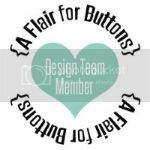 10 Cards & 10 Envelopes; 11 Sheets of 8.5 x 11″ Paper/Cardstock; Set of 9 Dies; 5 Colors of Ribbon; Decorative Wood Stickers, Flowers, Sequins, Foil Sentiments & Embellishments; Die Cut Shapes; Sentiments & Stickers; Roll of Adhesive Tape & Foam Squares. 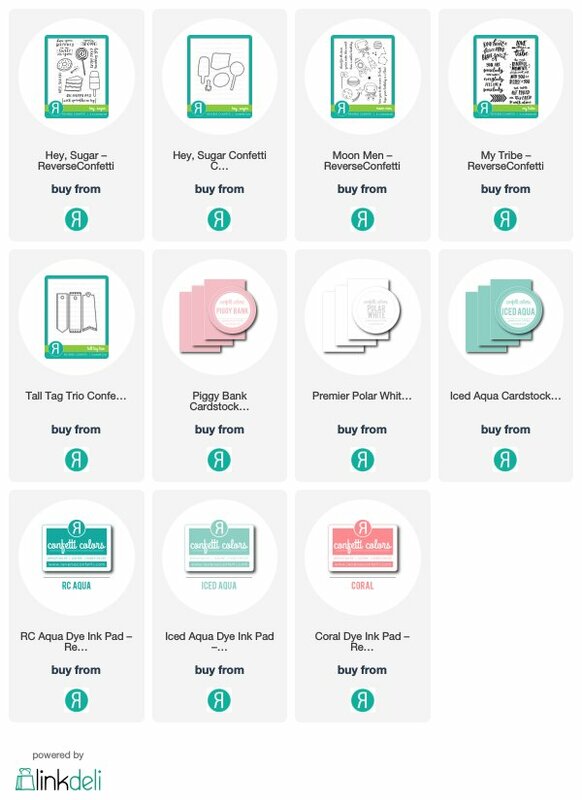 If you're interested in the Spellbinders Card Kit of the Month Club, you can find out more by clicking on the link listed below in my supply list. Wouldn't it be fun to receive one of these gorgeous kits in the mail each month? I love how everything included coordinates so perfectly...and is suitable for this particular time of year. I'll be posting more cards used with this kit throughout the next few days.